What do you want first – the good news or the bad news? My eating was so awful and off track today and I’m really disappointed in myself. I’ve actually noticed that my eating is worse on days when I work a full day in the office. I get antsy sitting there all day, and in my boredom I get the munchies. Of course I don’t give into them at work, but when I come home it’s like it has been building up in me all day and I can no longer resist. I’m going to have to think this one through and see if I can think of a way to prevent this from continuing. Wide open to suggestions if you have them! 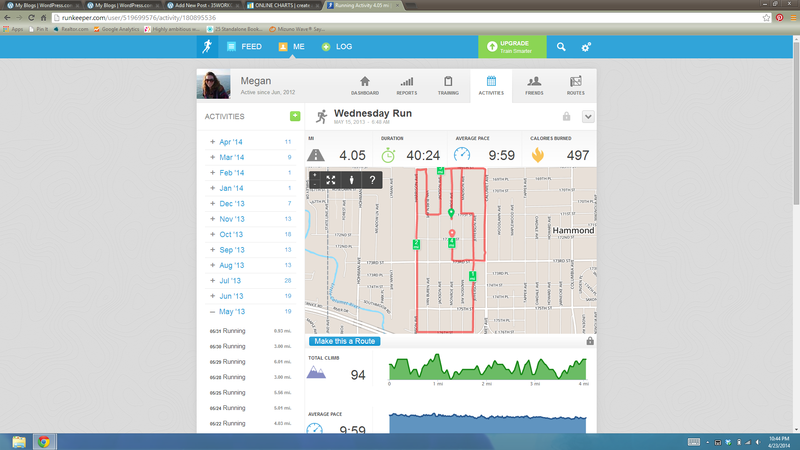 About a year later I had gotten my speed up to about 10 minutes per mile on a 4 mile run. I didn’t run much over the winter but I was still improving! This year, just yesterday, after working out and running all winter, I’ve drastically improved my pace down to an average 9:10 per mile pace! Ad that’s with allergies and 10mph head winds! I’m really not trying to brag, but I cannot believe how far I’ve come. Seeing that (nearly) 9 minute pace makes me feel like I’m a legit runner. It’s a far cry from that chunky grade school kid that finished the Presidential Fitness Mile Run (just 1 mile!) in 12 minutes, 30 seconds! 11 year old me would’ve never seen this coming. And just think how much better that could be if I could get my eating habits under control and lose a few pounds…I’ll get there. 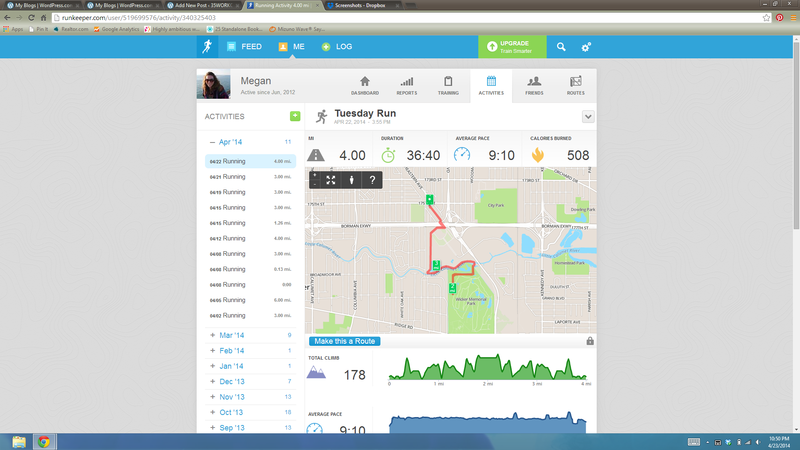 Tomorrow, pending a fairly healthy respiratory system (not mine), my sister and I will continue with her C25K training. I’m proud of her for running on her own once last week, but then some knee pain, and now a bad cold have prevented her from running any more than that. But she’s still persistently motivated so if we can get out tomorrow, it should be good! Hopefully she’ll have her own progress story to tell someday. What’s yours? Would young you recognize the current you?